Improvements 39.54 acres current use as agricultural vacant land fully serviced infrastructure ready for industrial development. This site is located in Delta Industrial Park. Park access to Route 2 (20A) and is near State Route 109. Interstate 80/90 (Ohio Turnpike) is located 3.5 miles and Route 24 is located less than 10 miles from the site. 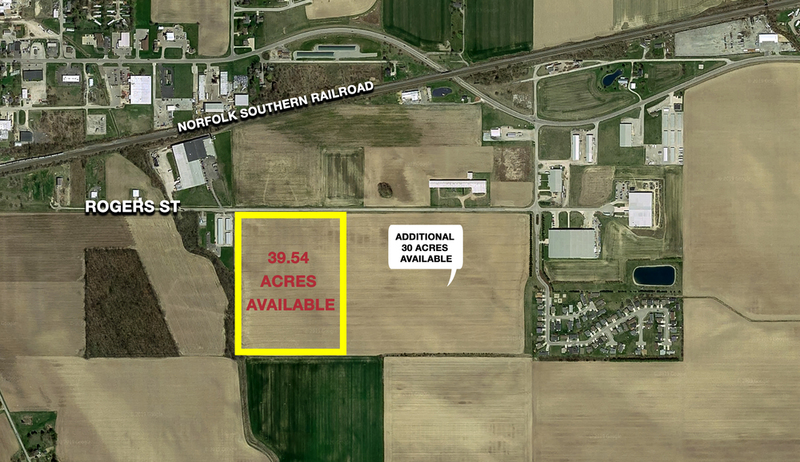 Approximately 40-acre parcel on Rogers Street in the Delta Industrial Park. Level, at grade. All utilities at site. Zoned M-3 Heavy Manufacturing. Can be combined with an adjacent 30-acre parcel to total 70 acres. Only 2.5 miles to Ohio Turnpike exit. Delta is home to Northstar Steel, Worthington, the new NatureFresh Farms facility, and the new MetalX location. Cash and/or other valuable considerations. This site is located in Delta Industrial Park, Delta Ohio- Fulton County. There is access to US Route 2 (20A), one mile from Highway 109, 2.5 miles Ohio Turnpike, 15 miles from Interstate 75, 10 miles from Toledo Express Airport, 38 miles Port of Toledo, 72 miles to Detroit Metro Airport.